Club 80-90 Technical Archive (Read Only) • View topic - my first VW. 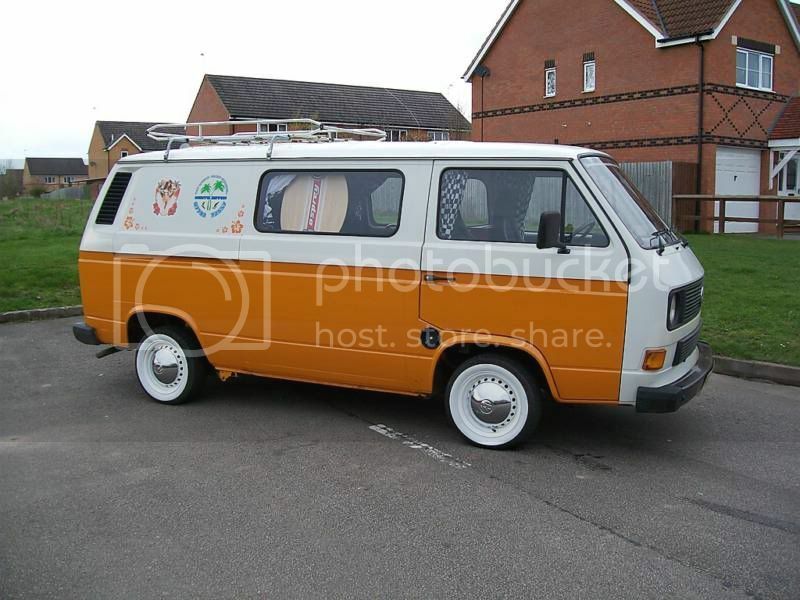 hello, im hopefully picking up my new (old) van next week. yeah looks cool, ska ? tell us more about it. engine and sus etc. I'm in my own lill world but its ok cos everyone here knows me ! cheers people for the warm welcome. the engine is a 1.7 diesel. over spray on the tyres . ill tell more when i get her next week. 1982 2l Aircooled with a name! Thats one hell of a first VW very nice. I was watching that on ebay aswel, It was stunning.. howmuch did you get it for in the end? Post some pics of the interior if you have any, that was my favourite bit! your gonna have some fun this summer! 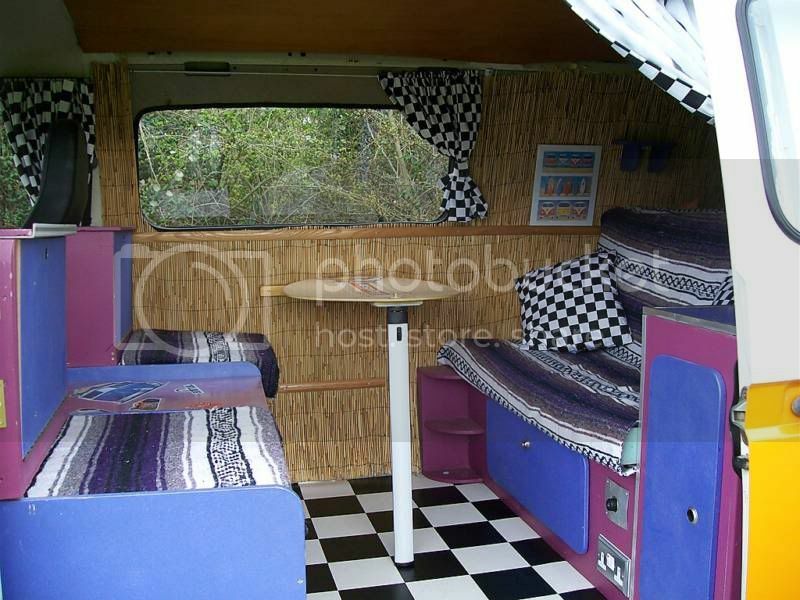 im in the process of selling my first camper, had it 3 years and been all over in her, a few offers have come in and its suddenly dawned on me...no more red westy, i feel sick to my guts! picked my van up yesterday from the old volks home in coventry. drove like a dream, 85 miles back to stoke, sat at 65mph all the way. were loving it, just took all the "fat sams surf shack" decals off, took the rear black tint out. just need to enjoy it now. my chevy astro is still forsale.